If you’re a Mom, it’s unlikely that you’re a stranger to Eric Carle. Even if you don’t know much about him, you know him as the ‘Man who wrote the Caterpillar Book’. Yes he’s the one who wrote that book, and another 70 more! He’s also a master illustrator, creating all those lovely images that our kids like so much. 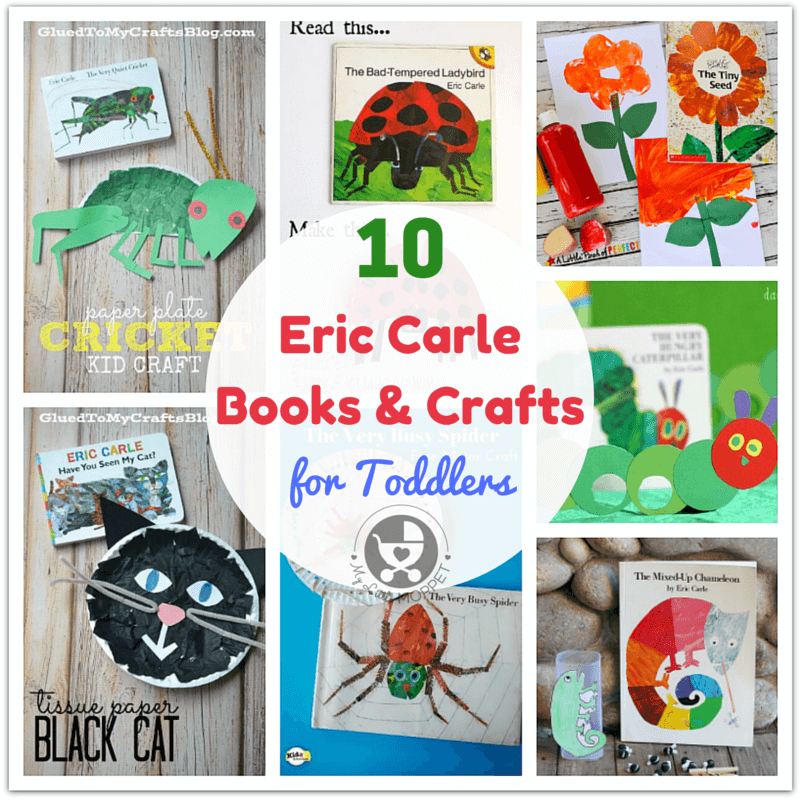 So since it’s his birthday today, we’ve decided to bring together a collection of top 10 Eric Carle books – with matching crafts for your toddler to do! What if you could become anyone you wanted? And then change to become someone else again? That’s exactly what little chameleon realizes he can do. But among all the changing and imitating others, will he lose sight of his true self? 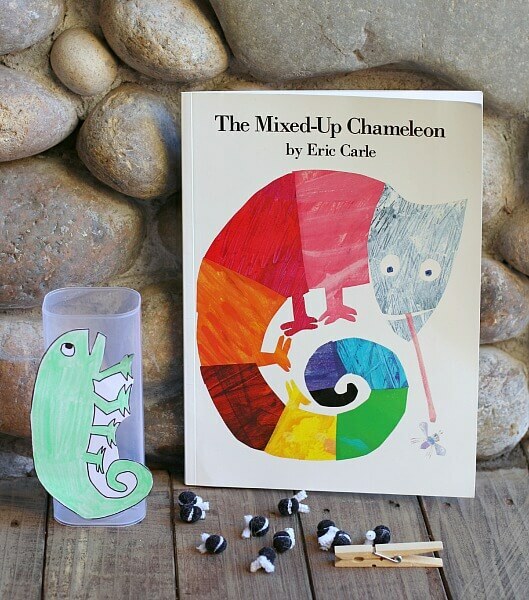 The Mixed up Chameleon has a story which may appeal to slightly older toddlers, but this fine motor skills game from Buggy and Buddy is great even for babies! With very few supplies, you can create a fun game that’ll keep your kids occupied for quite some time! 2. Have you Seen My Cat? When a little boy realizes that his cat is missing, he goes out looking for him. But what he finds are the cat’s relatives – lions, tigers and so on! When will he find his precious pet? A cut little story that kids of all ages will enjoy. 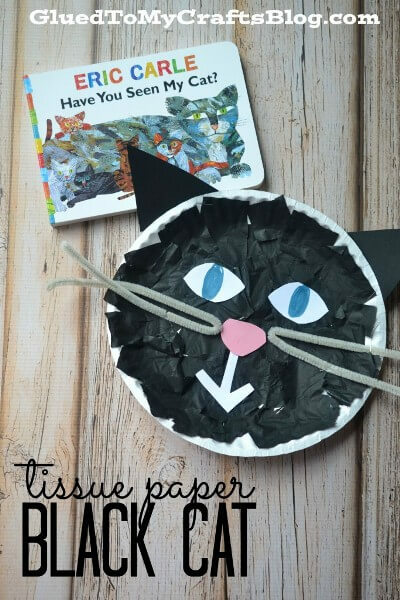 Glued to My Crafts has a perfect toddler-friendly craft to match this book – a paper plate cat. Toddlers will enjoy making the black mosaic collage and bending the pipe cleaners to make whiskers. If you have a cat at home, make the craft to match your cat – brown, grey or white! 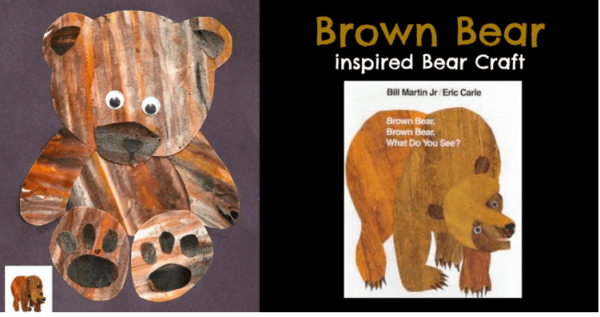 A brown bear sets off on a journey – and what does he see? Other animals of course, but of colors other than brown! 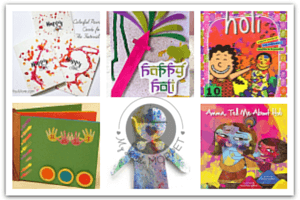 The delightful text and bright colors are sure to entertain even kids under the age of one. This adorable book has an equally cute craft to match, from My Little Me. 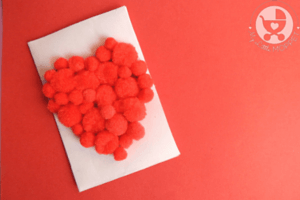 The activity requires adult supervision, but the kids can still help in gathering the right colors of crayons and sticking them to make the finished bear. A lovely story about the circle of life, The Tiny Seed is also a great book on what happens in nature. A tiny seed gets separated from its parent – what’s going to happen to it now? 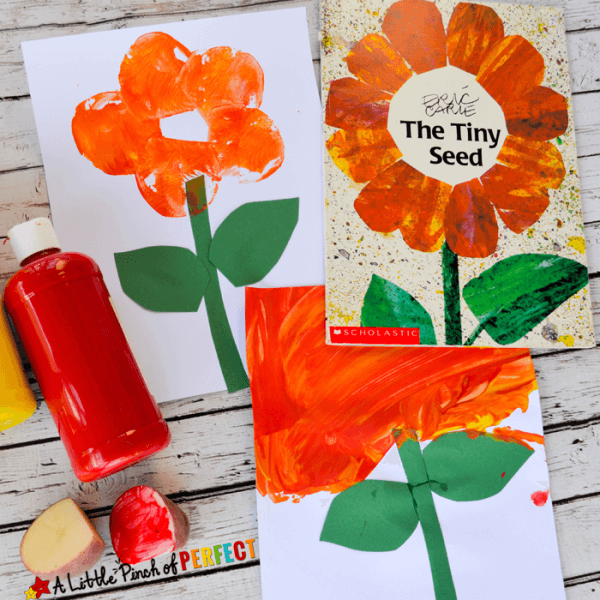 While Eric Carle’s art work itself is beautiful, this craft from A Little Pinch of Perfect is just as good! This activity involves potato stamping, an easy and fun activity perfect even for young toddlers. 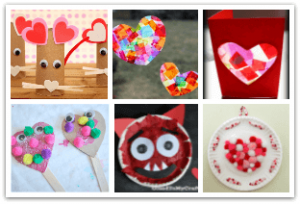 There are also free printables for older kids to work on. A little cricket is happy – till he loses his song, that is. What follows is his search for his song, and he seeks help from other members of the insect community for it. The story offers a lovely look at the world of insects and shows kids that no matter how tiny, they’re all still God’s creatures! 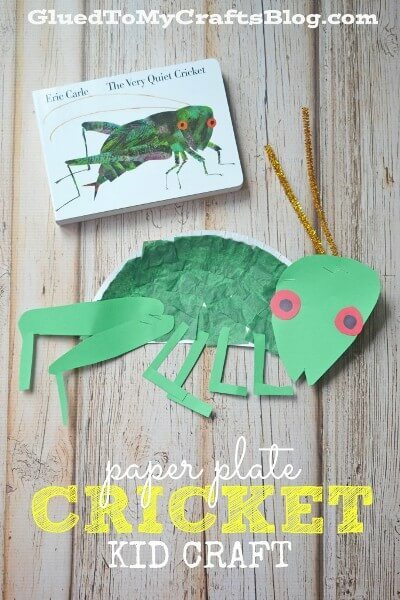 If your child was impressed by the cricket, try making this cute paper plate cricket craft from Glued to My Crafts. 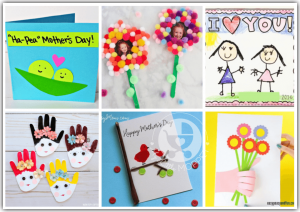 Made with colored paper and card stock, this craft is great for cutting and sticking practice for young and older toddlers alike. A firefly is an insect that’ll intrigue any child with it’s unique glowing body. The firefly in the story has a glow too, but unfortunately, he can’t find anyone else who has it! His search introduces him to a variety of glowing objects, till he finds what he’s looking for! Kids will be able to identify several common animals and objects in the book and will be happy for the firefly at the end! Now it’s time to make your own firefly, and one that glows in the dark as well! 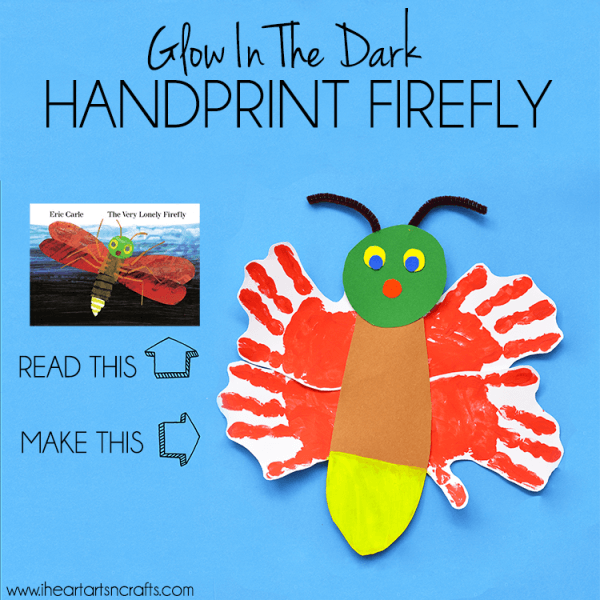 I Heart Arts n Crafts has a cute firefly craft made of handprints and glow paint that toddlers will love! If your toddler is prone to frequent tantrums, he might relate to the ladybird in the book! The ladybird has, obviously, a bad temper and picks fights with everyone. As expected, this does not bode well for him and he realizes the error of his ways. A great story about getting along with everyone. 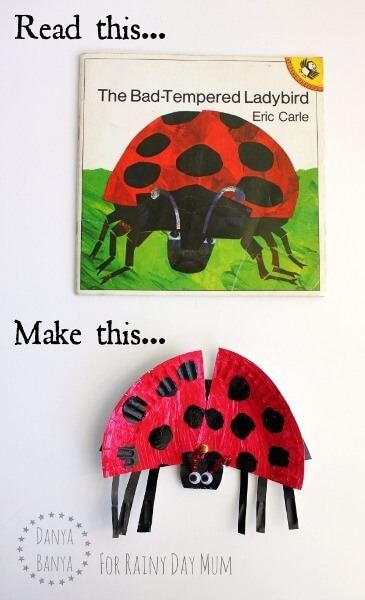 Rainy Day Mum has a very pretty ladybird craft to go with the book, that looks just like the original one! The craft involves the use of a split pin, so if you’re worried about it, you can just stick the wings together. The ladybird won’t fly, but he’ll still serve the purpose! This is a great book for babies as well as toddlers, so siblings can share! The book is a touch-feel kind, so infants will enjoy feeling the story as you read about a little spider who carefully, persistently builds his web from scratch. Kids can see how the spider keeps progressing, never tiring on the way. A lovely story about commitment and hard work. 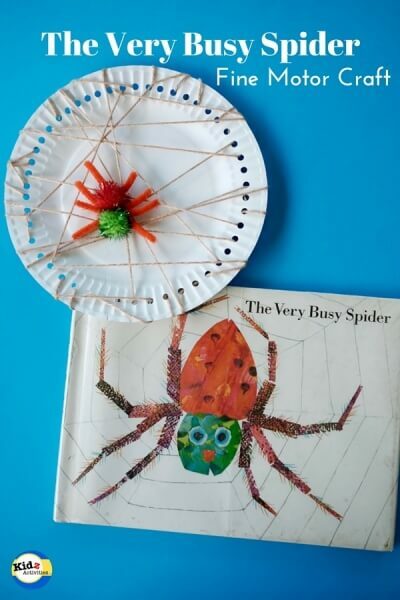 Recreate the spider’s journey of building his web with this fun craft from Kidz Activities. This is a great fine motor skill building activity for older toddlers and preschoolers who can have a lot of fun stringing their own web – with a little spider by their side, of course! This is the only book in our list which doesn’t feature an actual living thing, but a cloud. 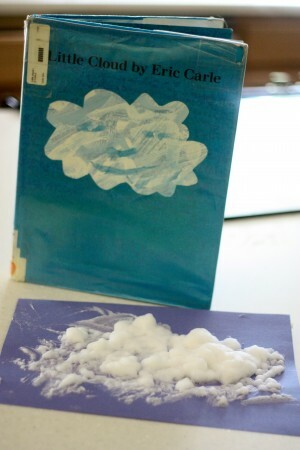 Yet, Eric Carle has given the cloud a personality of its own, and you can’t help but end up liking him! Little cloud loves changing shape, from a horse to a clown! This is a great story about having limitless possibilities and how you can become anything you want to be. This book has an accompanying craft featured at I Can Teach My Child, and is simple enough for the little ones to do. 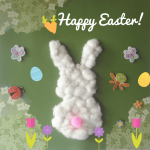 All you need is shaving cream, glue and blue paper to make a cloud in any shape you like! An open-ended activity, if ever there was one! Now you simply can’t have a list of Eric Carle books and not include the Hungry Caterpillar! 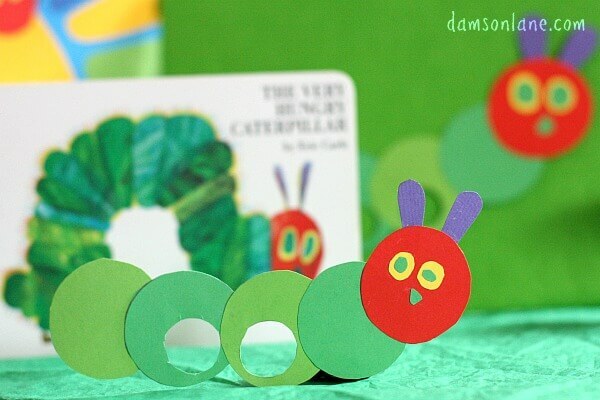 I’m sure you’re already familiar with the story of the hungry little green caterpillar, who eats his way through an assortment of foods – both healthy and unhealthy! This evergreen book never loses its charm and is valuable to teach kids about what foods are good for them and which ones are not. Since this is one book you’ll be reading a lot, we suggest making a finger puppet to act out the scenes, like this one from Read and Create. You can keep it in a special place and take it out only when reading this book – this should make any kid a fan of reading! All the books mentioned here are available on Amazon India; just click the title to go directly to the product page. 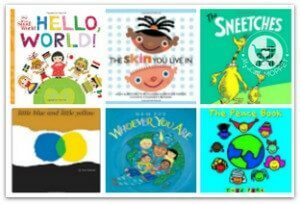 Many of them are available as both paperbacks and board books, so take your pick depending upon the age of your child and the roughhousing you expect it to take! Most of the crafts require just basic supplies, so you don’t have to go out to buy anything fancy. Just read your book, gather your craft stuff and start making!